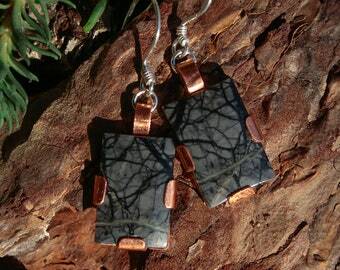 Cord: 2mm width black round leather with the lenght of 60cm. 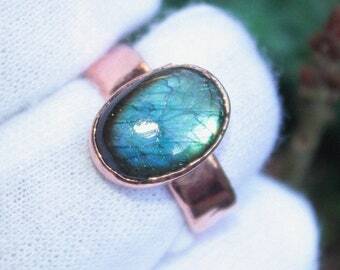 Please write in the order notes if you wish a different lenght. 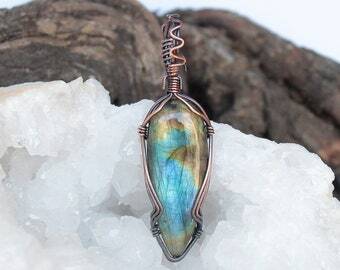 -Wearing Labradorite Crystal jewelry is a powerful way to use this stone as having it within your aura will stimulate the birth of many psychic gifts. 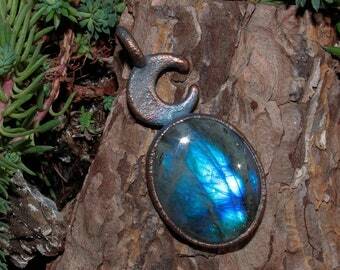 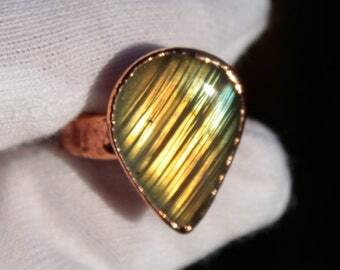 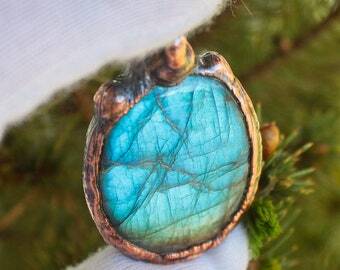 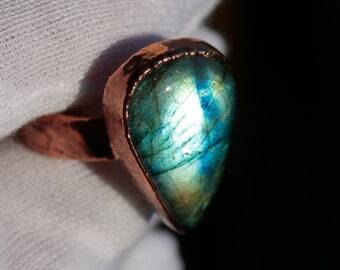 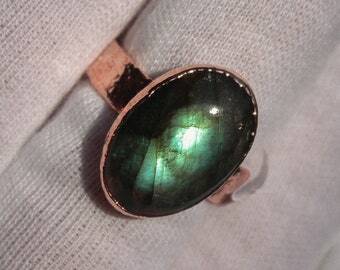 -Labradorite cleans and opens the crown chakra by stimulating the wearer’s intuition. 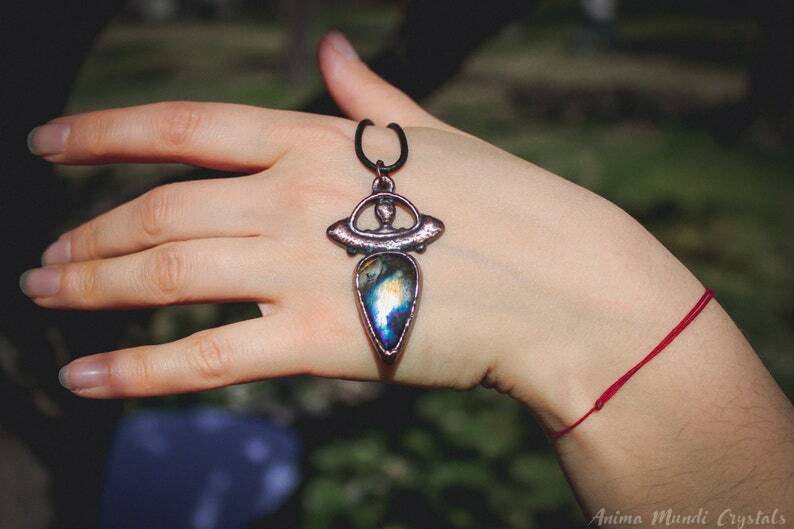 -It is a power stone that allows you to see through illusions and determine the actual form of your dreams and goals. 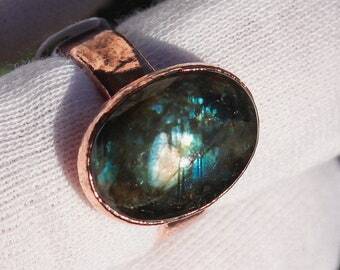 -Use Labradorite to stimulate the imagination, develop enthusiasm and to see more clearly in meditation. 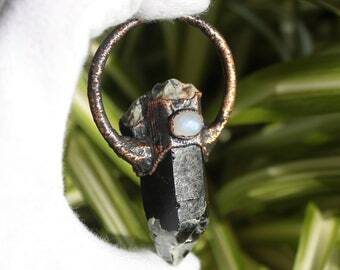 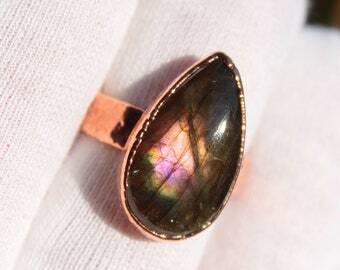 -A stone of transformation, Labradorite is a useful companion through change, imparting strength and perseverance. 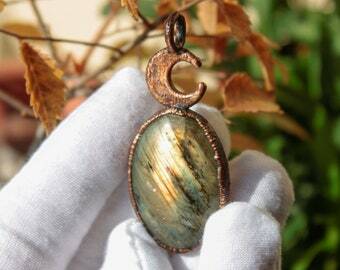 -It balances and protects the aura, raises consciousness and grounds spiritual energies. 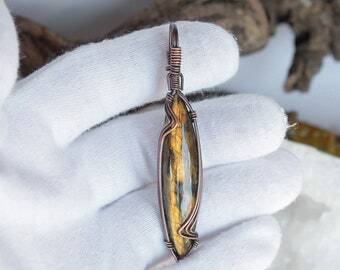 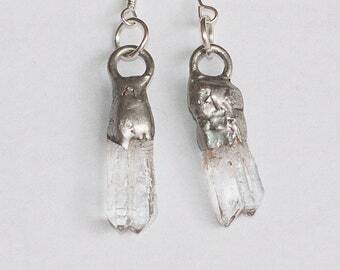 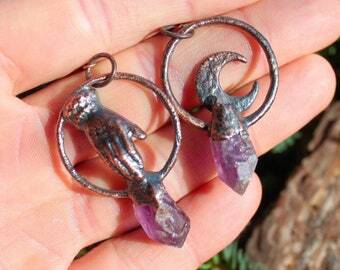 -Excellent for strengthening intuition - promoting psychic abilities. 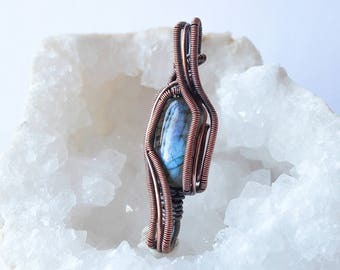 -Powerful in revealing the truth behind illusions, Labradorite banishes fears and insecurities, and strengthens faith in the self and trust in the universe. 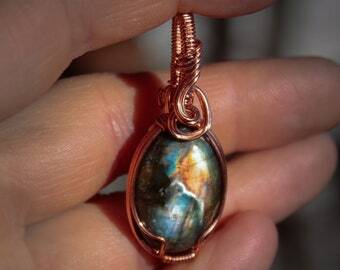 -It stimulates the imagination and calms an overactive mind, developing enthusiasm and new ideas.